Garsons Pick Your Own Farm - please check the crop timetable before you go to see what is available to pick! Visiting a local garden centre such as Longacres which sell vegetable plants to take home and grow - potatoes don't take much looking after and lettuces grow quite quickly! Visiting a green grocers or the vegetable counter at a local supermarket, purchasing some fresh veg then creating something yummy at home like a homemade vegetable soup! Visiting a friend or relatives allotment is also another way to get 'stuck in'! 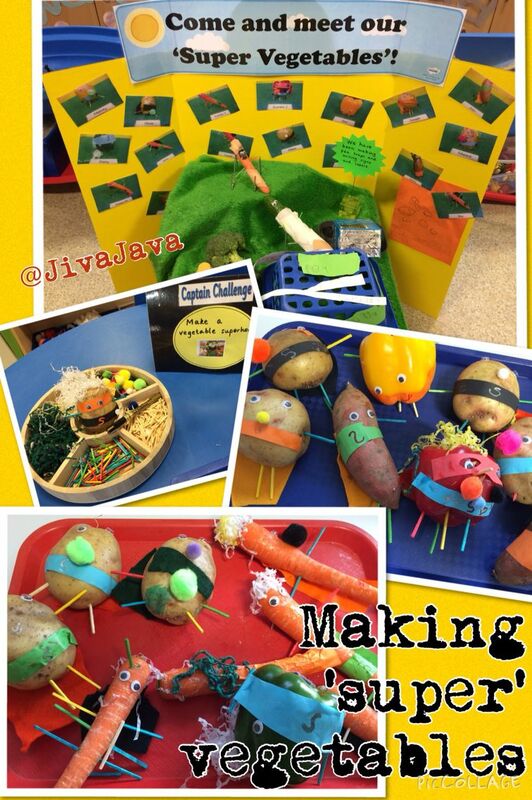 Click on the text below the pictures to find resources and instructions as to how to carry out these lovely vegetables related activities at home!